Adam Green is coming to Oklahoma City! Adam is a Young Living Gold who is a pioneer and expert in the field of fitness with Young Living Essential Oils and supplements. Adam educates and consults with individuals and corporations providing valuable information on how to improve health naturally using essential oil based products. He has an extensive background in using essential oils and essential oil enhanced products for increased health and wellness. Natural health and wellness has been always been a key part in Adam’s life. Being the son of a nationally and internationally recognized speaker, health & wellness educator, and physiotherapist/acupuncturist, there was never a shortage of information on natural health in his life. Adam’s passion for helping others led him to Red Deer College, where he earned his Diploma in Kinesiology, majoring in fitness and health promotion. As a member of The Canadian Society for Exercise Physiology (CSEP), Adam earned his Certified Personal Trainer status, and quickly jumped headlong into this field. For the next three years, Adam worked with hundreds of clients in a private personal training setting, working with a wide variety of clientele. 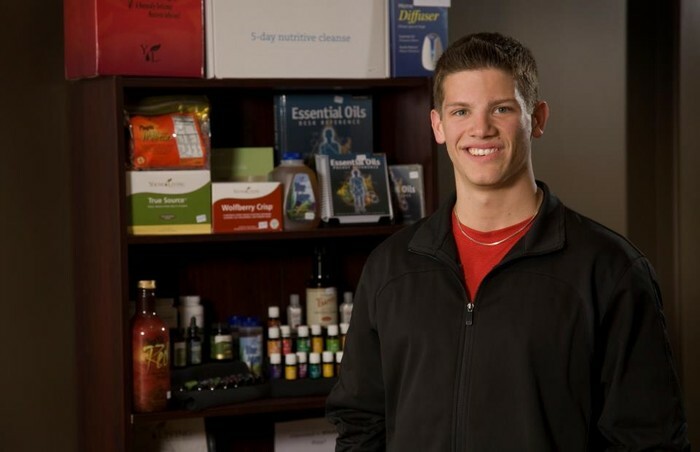 In November of 2011, Adam transitioned out of the personal training field, and began to focus full time on educating others on the health benefits of essential oils and essential oil infused products. Adam is a dynamic individual and presenter, whose experience and knowledge extends far beyond his age. Adam has been invited three times to speak for the Young Living Essential Oil's company, at their International Grand Convention in Salt Lake in City 2010, Orlando Florida in 2011, and again in Salt Lake City 2012. He is a wealth of information on training, nutrition, and essential oils, helping everyone to improve both their financial and personal health.